Cadillac down to just one dealer | What Car? Cadillac is continuing to sell cars in the UK but only from a single dealer. American car specialists Bauer Millett in Manchester is selling the CTS and CTS-V saloon and CTS coupe and sportwagons, plus the SRX crossover and Escalade SUV, although some of the cars are available only as left-hand drive models. 'With the problems at GM, and with Cadillac being a low volume sales operation, we have reduced our sales activities,' said a Cadillac salesman. 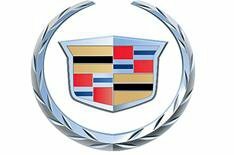 Cadillac also has approved dealers around the country, in order to maintain cars sold before it reduced its sales operations.